There is an urban revival underway in Richmond. Long neglected districts- like Scott’s Addition, Jackson Ward, and Manchester- are being redeveloped and revitalized. Vacant warehouses, former industrial spaces, and blocks of long neglected housing are being repurposed into modern, beautiful retail, restaurant, office, and multi-family living spaces. 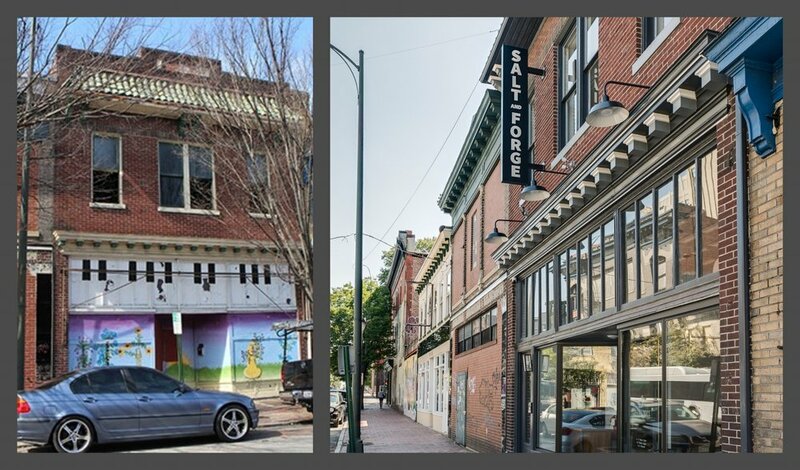 Thriving, pedestrian friendly communities with a distinct historic character are bringing new life back to older neighborhoods. Historic property renovations are unique commercial construction projects with a host of special considerations. Rehabilitating older buildings requires a careful blending of modern functionality and historic preservation, grounded in economic reality. Whether you are renovating, repurposing or simply restoring an older building, you need a General Contractor experienced with the specific challenges of renovating Virginia’s historic properties. Hunnicutt Construction’s careful planning and meticulous attention to detail will help you preserve irreplaceable existing architecture and integrate it seamlessly with your modern vision. We are experienced working with historic tax credits and Architectural Review committees, which simplifies your planning and approval processes. And our comprehensive preconstruction services expose hidden conditions and potential hazards, to save you time and money during the construction phase. Contact us to explore how Hunnicutt Construction can help restore and renew your historic property.